For value, quality assured eBook conversions Zaccmedia can provide competitive prices. From straight text conversions, to full colour fixed layouts, please contact us for a quote. Whilst content can vary in complexity, most straight text titles with minor table and illustrative content can be converted to ePub and Kindle formats for our base rate of £155 for up to 80,000 words. This cost is included in our eBook Publishing & Distribution Package. Since a page averages around 300 words, an 80,000 word conversion would convert a book up to around 267 pages. For titles with higher word counts, please contact us for a quote. Source files for conversion can be submitted in various formats, including Word, inDesign or PDF. All conversions go through an initial quality control check, offering a hassle free service that won’t require complex amendments and conforms to IDPF standards. Both ePub and Kindle formats are used for viewing eBooks on all the mainstream digital readers, including the iPad, iPhone, Android Devices, Kindle eReaders, Sony eReader, Kobo and Nook. App technologies are usually aimed at specific platforms, such as the iPad, using iTunes or Android Tablets, using Google Play, or perhaps both. For most requirements, our standard conversion of £155 for up to 80,000 words applies. However, upon reviewing the content submitted for conversion, where there are complex tables, illustrations or aspects that require extensive formatting beyond the standard requirements we will provide a quote on incorporating these additional features. 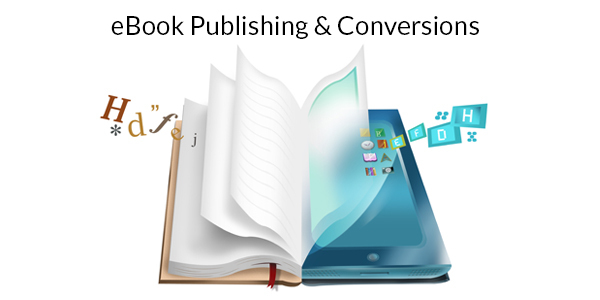 This conversion service is available to professional publishers and self-publishers. NOTE: If you are independently distributing your own eBook, it is important you attain an ISBN number. Zaccmedia only supplies ISBN’s to those on our eBook Publishing & Distribution Package. Contact us with your requirements and we will get back to you shortly, answering any queries or providing information on how to submit your file for conversion.